Iranian President Hassan Rouhani underlined that the Islamic Republic and China should use the opportunities created after the July 2015 nuclear deal, also known as the Joint Comprehensive Plan of Action (JCPOA), to boost their ties in all areas. 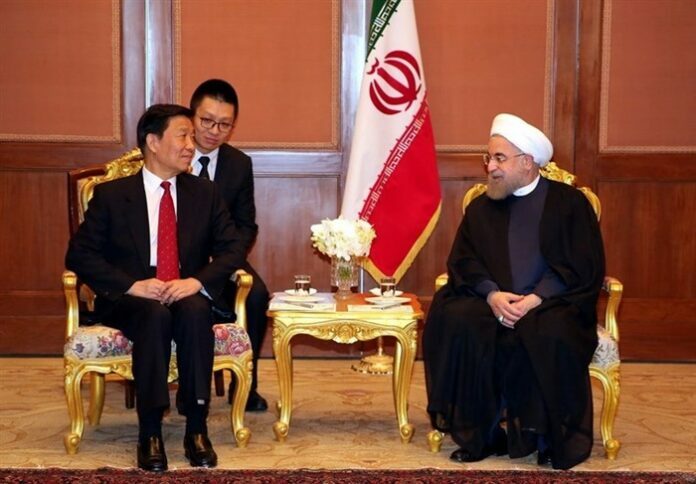 Speaking at a meeting with Vice President of China Li Yuanchao in Thailand on Sunday, President Rouhani said relations with Beijing have always been very important to Tehran, adding that he is willing that the two counties use the post-JCPOA opportunities to quickly realize “strategic” relations. He further stressed the need to expand banking ties between the two countries, saying that Iran welcomes China’s investment in various sectors of oil and gas, transportation, technology. The Iranian president added that the two countries can also promote cooperation in scientific and cultural spheres. Li, for his part, said that a new chapter has been opened in the history of relations between Iran and China, adding that his country welcomes closer cooperation with the Islamic Republic in all spheres. The remarks come against the backdrop of a new wave of interest in ties with Iran after Tehran and the Group 5+1 (Russia, China, the US, Britain, France and Germany) on July 14, 2015 reached a conclusion over the text of a comprehensive 159-page deal on Tehran’s nuclear program and started implementing it on January 16.